Salespeople seem to always have so much to do yet never enough time to get it all finished. Recently I had the opportunity to meet one-on-one with about 30 different salespeople over the course of a 2-week period of time. During each of these meetings, the salespeeople revealed that they could benefit from some priority management or time management lessons. That got me thinking that this is something I bet many people could use. So I asked all of my colleagues at the Center for Sales Strategy and LeadG2 for their best time management tips. Do your paperwork at the end of the day. Block off specific times of the week for important activities like prospecting, appointments, and proposals. Commit to doing nothing else during those times and don’t allow interruptions. Treat it like an appointment. When you have an appointment scheduled, think about who else you could meet with in that area to save drive time. Try to have at least 2 appointments scheduled every time you leave the office. When you need to focus, turn off phone and email. Check your phone and email messages during designated times of the day, rather than constantly. Get to the office 15 minutes early and use that time to get coffee and check email rather than starting your day 30 minutes later. Prioritize your tasks based on what things are important, not just those which are urgent. Use the Strategic Square to track the tasks you need to complete and determine their priority. Learn to tell people “no,” or, “not right now.” Your associates may not know what kinds of priorities you’re working on, so they may not ask for help at the most opportune times. Keep an organizer in your trunk with all of the basic supplies you may need while you are out. Set reminders in advance of meetings and appointments that provide you with a large enough window to prepare and get to meeting. The standard 15-minute reminder may not be enough. Build routines in your day. Use templates for emails and proposals. There is no reason to completely reinvent the wheel—ever. Just make small changes in order to customize your templates. Find workarounds for the things that you struggle with or take you forever. Is there someone else that can help you and maybe you can do something else for them? Hire an assistant. Consider pooling together with others or use an Internet-based support service to help with spreadsheets, reports, and design. Make sure the prospects you call on have strong dollar potential. Consider using a project management application like Basecamp. Schedule phone appointments during times when you know you have a long drive in your car. Make a to-do list daily and prioritize, making sure you do the things that will generate revenue first. Use a day planning system like Franklin Day planner (either paper or online version) and assign A, B, and C priorities to your tasks so urgencies do not overtake priorities. Make sure you prioritize every Key and Target Account as an “A” in the prioritizing so you attend to those first. Set aside at least 10 minutes every morning or every night to do some planning in solitude. Share your plans with your manager so they can support you and not interfere. 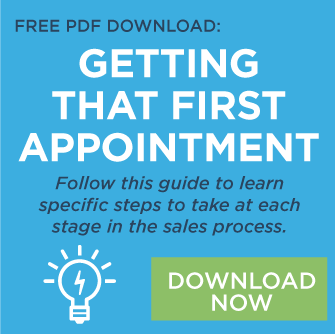 If you have access to a sales coordinator, use them more often. Use an iPad to record notes after every client meeting and transfer them to your CRM at the end of that day. These tips are the ones that we find really help us. Of course, sometimes the hardest thing is remembering to put them into practice. You might try focusing on just one or two each week, gradually building them into habits.